The 22-year-old finished top of the leader board with 95 votes, closely followed by runner-up Nat Exon who had 84 votes. Last year’s winner Kate Lutkins finished in third place with 78, with inaugural winner Emily Bates coming fourth with 76. Anderson had a breakout third season in the midfield averaging 21.0 disposals per game, amongst the highest in the competition and five tackles per game. 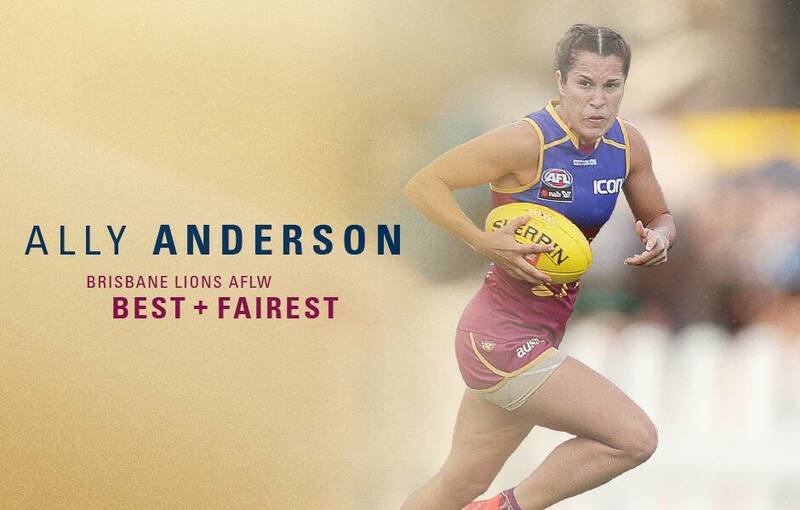 In three seasons she has played all possible 23 games for the Lions. Lions Women’s CEO Breeanna Brock said it has been a privilege watching Anderson flourish in the Lions’ program over the past three seasons. “We are all thrilled to watch her development each season." Anderson is also well respected for her work off the field with her involvement in the Lions’ Reconciliation Action Plan and Deadly Choices.